Dreamy atolls of tropical islands scattered across the Indian Ocean, the Maldives are a kaleidoscope of colours and earthly pleasures. Get away from it all at LUX* Maldives, the only settlement on the postcard-perfect island of Dhidhoofinolhu. Fuss free and laid-back, the resort surprises with pop-up film shows right on the beach, impromptu musical performances and strolls along secret pathways through the lush tropical gardens. Just steps from the thatch-roofed suites and ocean-perched villas, the island"s unspoilt beaches are yours to claim. A prime spot for snorkelling and whale-shark spotting, the resort"s unblemished lagoon is a diver"s dreamworld. Back on land, island street food and fine dining await in the tempting restaurants and bars. In the shade of coconut palms, lounge by the two turquoise pools, luxuriate in the ocean-view spa and surrender to the charms of this castaway idyll. LUX* South Ari Atoll "“ is located on one of the biggest islands (Dhidhoofinolhu) with 4 KM of pristine white sandy beaches facing the clear lagoon. Learn more about our resort in Maldives. Whether suspended over the water or scattered along the beach, every room, suite and villa at LUX* Maldives is designed to make the most of its enchanting island surrounds.Light, breezy and ever so spacious with splashes of bright island colour, each room has a sophisticated sense of simplicity with sweeping views over the sparkling lagoon and beach. The best way to enjoy a luxury sailing cruise with your loved ones and family out at sea. Speak to our guest services department who will be delighted to create a tailor-made excursion especially for you. Enjoy the speed of the wind and let the sail take you in a unique top cat catamaran sailing experience. Catch and cook! What better way to discover the joys of fishing than out on the stunning waters of the maldives. Take in the breathtaking sunrise or sunset, and cook up your fresh haul at the end of the day. Fly with the wind, connect with nature and skim across the warm waters of the lagoon. Available for everyone from beginners to the experienced pros. Take to the waves for waterskiing or wakeboarding, and experience the perfect playground of the still turquoise lagoon as your backdrop. Carve through the waves and jump in head first to improve your skills in style! Harness the power of the wind and experience one of the most thrilling sports on the planet. Enjoy the speed of windsurfing, the tricks of wakeboarding, the smooth carving waves of surfers and the incredible jumps that will make you fly; all combined in this adrenaline-fuelled challenge. Suitable for all levels. Then, slicing through the surf on a jet ski is a must offering an adrenaline pumping and exhilarating experience not to be missed. Discover magnificent marine life and underwater scenes as you swim amongst colourful reef fish in this natural aquarium paradise. The sheltered lagoon provides unbeatable viewings of stingrays, coral fish, baby black-tip reef sharks and the occasional manta ray. Facing the turquoise blue sea, discover your body, relax your mind, and find your inner self with our talented and inspirational yoga instructors. The ultimate water sport for the adrenaline junkie: challenge Yourself and master your balance to perform a full 360Â° mini-flight around the lagoon! Experience the unique underwater world of the maldives, ffering some of the world's best dive sites and colourful reefs boasting an abundance of marine life. The five-star padi diving centre and our dedicated professional team are on hand to ensure the ultimate dive experience for pros and novices alike. Savour the essence of authentic island living at MIXE. With tables set out on the beach under thatched roofs and slow turning ceiling fans, guests can sink their feet into the warm sand below while tucking into mouth-watering fresh buffets for breakfast and dinner. Live cooking stations offer everything from wood-fired pizzas and grills to stir-fries with a tempting island twist. In the evening, enjoy genuine island entertainment performed by talented local performers. You've heard the album, now enjoy the ambience as you eat, drink and make merry. Pick at delicious fresh pizzas straight from our wood-fired in the ultimate relaxed setting, right on the soft-sand beach - crisp, thin crusts, topped with the freshest ingredients, baked to perfection"¦ And your feet in the sand, eyes on the lagoon view and the breeze in your hair. That"s a recipe for good times. Inspired by North African, Lebanese, Indian and Indian Ocean cuisine, Senses never fails to delights with its tempting menu of tagines, tandoori prawns and unique tropical sorbets. Enjoy a light lunch of fresh salads, grills and local seafood, then take a seat at the water's edge overlooking the infinity pool for an exquisite Ã la carte dinner under the stars. Senses Bar and Lounge offers a selection of cocktails, rums, liqueurs, beers and spirits, as well as a refreshing selection of Sri Lankan teas in the afternoon. It also offers light Indian Ocean lunches in the shade or by the pool if you don't feel like visiting one of our more formal restaurants. Enjoy a light snack in the evening while swaying gently in a giant hammock or challenge someone to a friendly game of billiards as the sun sets over the ocean. Suspended above the water, East inspires with its incredible view out over the lagoon. Rustic decks and old ship's riggings add to the nautical theme, while bright cushions and light fabrics provide a lively island feel. The menu features the best of Cambodian, Indonesian, Thai, Sri Lankan, Hong Kong and Chinese-style buffets. The adjacent East Bar offers fresh fruit cocktails and unforgettable local evening entertainment. Vibrant Italian flair blends with the lively island ambience at Allegria. Located right on the beach, this open kitchen allows guests to watch our skilled chefs at work as they create pizzas, pastas and gnocchi dishes. For a more intimate atmosphere, Allegria's wine cellar can be booked for private dinners. Exclusive arrangements can also be made for small parties to dine in the cellar and indulge in a range cheeses complemented by our exceptional selection of French and New World wines. Perched on stilts over the water, Umami features a Japanese-style teppanyaki table where our chefs entertain guests with their culinary skills. Sit under beautiful silk paper lanterns surrounded by wooden latticework while you enjoy the simple yet delicate flavours of Kobe beef sushi rolls served with scallops or fresh seaweed and squid salad. The restaurant is open evenings only, and tables should be reserved in advance. Located near the crystal clear swimming pool that extends out to sea, with shimmering views of the lagoon on three sides, Veli Pool Bar offers a casual menu of tasty pizzas, sandwiches and spring rolls, as well as Mediterranean-style tapas, mezze and antipasti. On the beach, facing the sunrise, close to the lobby and the boat house, this is your regular laid-back watering hole. Enjoy island music and reggae favourites while sharing your experiences from the last dive or your exciting water sports session. Nothing beats a really great cup of coffee. That's why at LUX* we only serve our very own delicious Island Blend of certified green organic beans. Roasted on the island and prepared for you with passion by our trained baristas, every cup of coffee served at our stylish Café LUX* is one to savour. 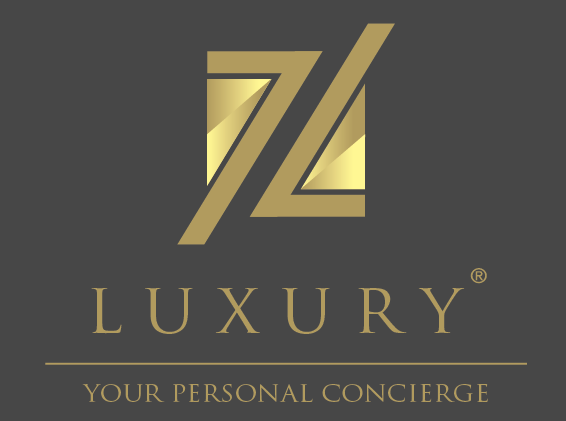 At LUX* Resorts and Hotels we have created a sanctuary for your health and wellbeing. LUX* Me is all about a personalised approach to your wellbeing, whether it be spa, fitness, yoga, meditation, nutrition or a unique combination tailored especially to your needs.